Sealcoating services bring a brand new look to your driveway. Say goodbye to the faded, damaged and weathered look that your driveway has portrayed for quite some time. 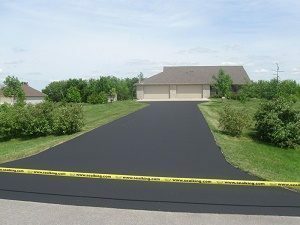 Thanks to our high quality products, the look of your driveway will look like an extreme makeover. At Seal King Professional Sealcoating, we understand how significant of an investment your home is, taking pride in you giving us the opportunity to keep your driveway looking it’s very best. This is done with high quality products and experienced workmanship all at a fair price. But don’t take our word for it. Ask our satisfied repeat customers. Just give us a call. We will be glad to let you speak to some of our customers right in your own neighborhood. 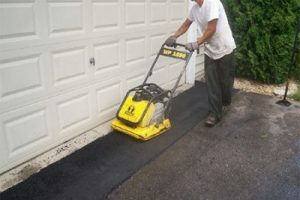 Seal King offers a full range of sealcoating services, including asphalt parking lot repais, asphalt pathways repairs, pothole repair, cracks in asphalt, and asphalt line painting. 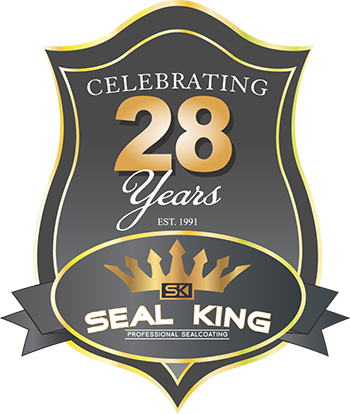 With locations all over the Minnesota, Wisconsin and Iowa area, you likely have a Seal King Professional near you. When it comes to your client or customers first experience at your corporate office, not many would think that the health of their parking lot has any impact. The truth is, however, that your office parking lot is the first thing that the customer or client comes into contact with on your property. If your parking lot is in bad shape and cracks and potholes are noticeable around the parking lot that may not be the first experience that you want your customers remembering. Running a business can be financially draining, and you may not have much extra money to spend on improvement projects around your corporate property. 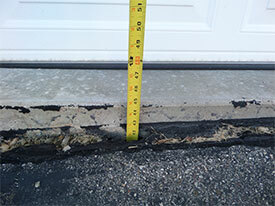 If you’ve already looked into asphalt replacement, there’s a good chance you’re overwhelmed by that price tag. The good news is that our professional sealcoating experts at Seal King Professional Sealcoating can repair your corporate parking lot at a fraction of the cost. 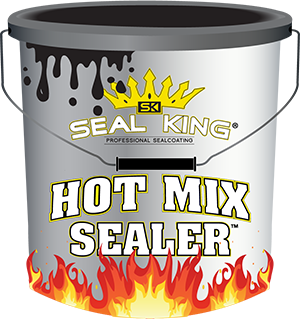 Seal King specializes in all of your sealcoating needs for both residential and commercial properties. 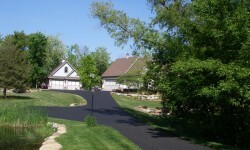 As asphalt driveways age, changes in color and breakdown of asphalt are inevitable. While asphalt has the durability to last up to 15 years, there is still a limit to the durability, and repairs are necessary. 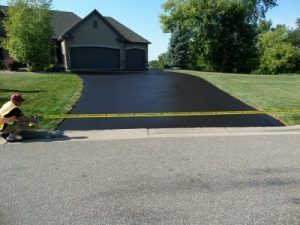 Asphalt is commonly used on driveways, and due to the harsh Minnesota weather, it is necessary to be maintained. 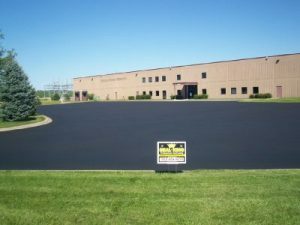 As most property owners can attist, newly applied asphalt is what looks best, but unfortunately this is time consuming and costly, and sealcoating can help your asphalt look new again. No one thinks parking lots are important, right? Parking lots are after-thoughts, right? Parking lots just sit there without adding value to a home or a business. Right? Well…not exactly. It is true that many people take parking lots for granted, and many others do not give them much thought at all. 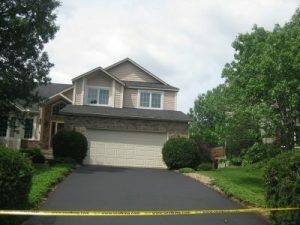 But if you have ever tried to sell a house with a beaten up drive-way or tried to figure out whether your business is losing customers because the potholes in your parking lot prevent people from parking without damaging their cars, you may have started to understand the importance of a lot that’s in good condition. Whether it’s your home, your body, your car or even your driveway or parking lot, most everything benefits from preventative maintenance. 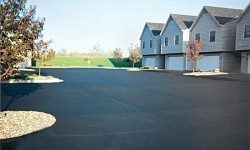 When it comes to your driveway or parking lot, it’s incredibly important to perform proper maintenance to ensure your asphalt will last for many years to come.